After our holiday season cooled off we began to wonder what we should be doing next. I had the thought that to grow we should probably see where we need work and to do that it seemed sensible to put our products out there to be judged. I was hoping that even if we didn’t place we’d learn some valuable feedback to help us improve. You can’t grow if you don’t put yourself out there. Looking for places to enter The Chocolate Salon had a looming deadline that put us into a sprint to vie for. I wasn’t comfortable this round having Bill & Robin figure out their own entries of truffles or bon bons so I put our toffees up on the judging block. We began by submitting our sea salt butter toffee and white chocolate (cloister) honey toffee. Both toffees we are deeply enamored with and thought it would be a good place to start. The sea salt butter toffee is simple and that’s part of the point. Many toffee makers dress up their toffees to hide the difficulty in getting chocolate to stick to it, or hide the errors that can happen when a degree plus or minus effects the texture and taste by cramming it with nuts. Keeping it clean and simple with a pinch of sea salt you can almost call it an honest toffee. Then on the other side we have our honey toffee made with local Cloister Honey (they are as crazy as we are when it comes to bee keeping!) We thought it a pretty unique concept that has some great flavors packed in naturally. Creamy white chocolate coats this toffee, which was chosen by our customers, acting as a nice balance to the honey-sweetness. 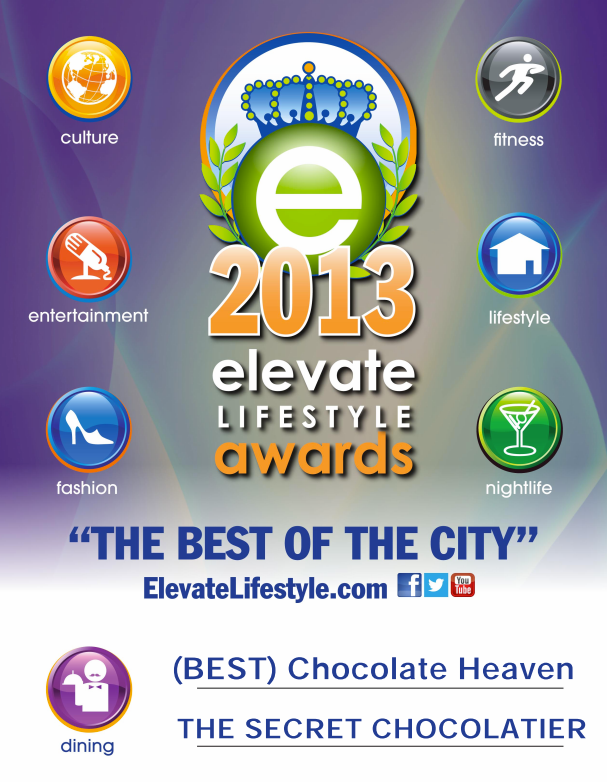 We had no expectations but were thrilled to find out that we won a few awards for our toffee. I would buy Secret’s Toffee any day. With that we are reaffirmed that we make great products every day and with this it keeps our bar high, if not setting it for ourselves even higher. We love a good challenge and wonder how we can do even better next year. 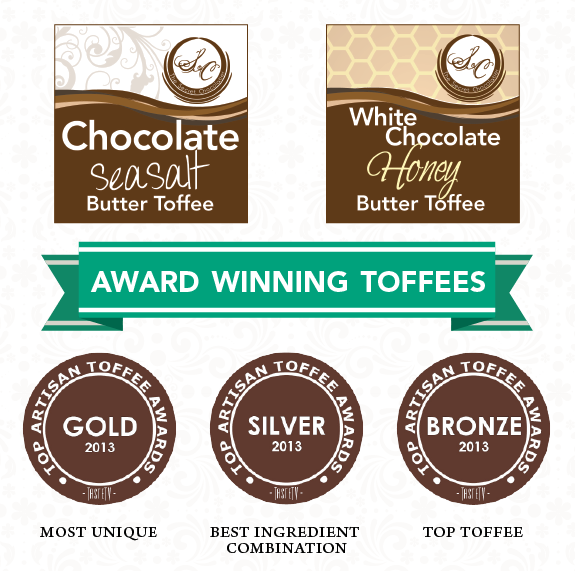 Now can your tastebuds imagine how good our award winning toffee is? Order some today or stop by the shop!